Garchomp is the quintessential example of a near perfect Pokémon. It has a great base 130 Attack stat and a convenient 102 Base Speed stat as well as very good bulk for an offensive sweeper. Its ability Rough Skin combined with its 108/95/85 defense even gives it some defensive potential and its decent support movepool and access to Stealth Rock make it a decent lead. The only place where Garchomp lacks offensively is its mediocre Special Attack stat, but that's remedied by its mega evolution, which boosts Garchomp's Special Attack to a good base 120 and pushes its Attack to a giant base 170, making it a fearsome mixed attacker, although the ten point loss in Speed hurts. Thankfully Garchomp's only boosting move is Swords Dance, and the fact that it lacks Dragon dance may be a blessing for the rest of the world. 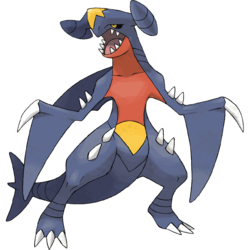 Overall, Garchomp can fulfill many more roles thanks to its mega evolution giving it an even more powerful Draco Meteor and Fire Blast to power through the Pokémon that once walled it or countered it, such as Ferrothorn or Hippowdon. It's also one of the best ways of handling most Mega Charizard builds thanks to its great 102 Speed and its ever popular Choice scarf Set. Whenever you face Garchomp it can immediately become a threat to your team and can force you into having to deal with it instead of setting up with your own Pokémon or stopping Garchomp from setting up and sweeping a portion of your team. Thundurus is a fantastic Pokémon this generation, and while it might not be as popular as some of the Pokémon on this list, it can just as big of a threat. Thundurus usually carries Hidden Power Ice and with its base 125 Special Attack it can easily outspeed and OHKO Garchomp as long as it doesn't have a Choice Scarf. Thundurus also has priority Taunt to prevent most lead Garchomp from setting up Stealth Rock. Mamoswine has STAB priority Ice Shard so it doesn't fear even the Choice Scarf set. Mamoswine can usually force out most Garchomp sets, as all but the bulkiest of Garchomp sets get OHKO'ed by its Ice Shard. Mamoswine is usually seen as a lead, but if you see a Garchomp on your opponent's team you might want to play it a bit safer and get rid of it with Mamoswine so your other Pokémon have a better time throughout the rest of the match. If there's any Pokémon that you'll get sick of seeing in competitive play, it's Rotom-W. Rotom-W has been a mainstay in higher competitive tiers for the past two generations thanks to its fantastic stats, typing, and movepool. Even the change from Ghost/Electric to Water/Electric couldn't hurt it, and in fact has given it a considerable boost in the metagame, as it only has one weakness thanks to levitate. Rotom-W is a very versatile Pokémon and when facing it, part of the battle is just figuring out what set you're currently up against. Great Defenses, Speed and a powerful STAB moves backed by a decent 105 base Special Attack, Rotom-W is always a force to be reckoned with. 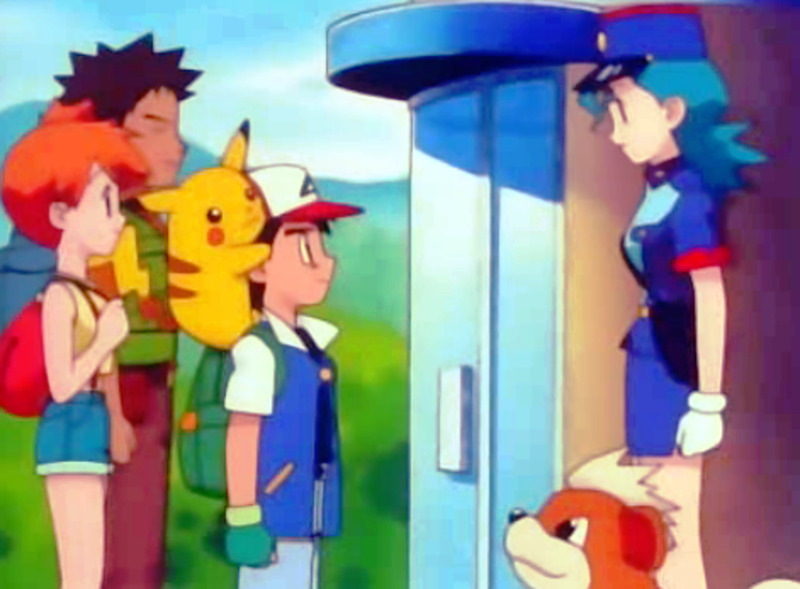 Rotom-W was already a popular Pokémon at the beginning of the 6th generation metagame, but the rise in popularity of Talonflame has made it as close to a staple as a Pokémon is going to get. Rotom-W is a hard counter to Talonflame, resisting both of its STAB moves and both of Rotom-W's STAB moves hit Talonflame super effectively. 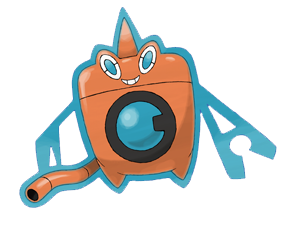 Rotom-W's excellent support movepool makes it a very effective defensive Pokémon thanks to its good 50/107/107 defenses and only one weakness. Excadrill is a great Pokémon overall, and its ability Mold Breaker lets it OHKO most Rotom-W variants with STAB Earthquake. Excadrill outspeeds all Rotom-W builds except Choice Scarf, and with correct prediction, you can easily play around it and catch it with an Earthquake when it switches in or gets locked into an Electric move. Be careful though, as Rotom-W's Hydro Pump can easily OHKO Excadrill and Will-O-Wisp severely cripples it as well. Usually you'll be able to pressure your opponent's Rotom-W with Excadrill fairly well and can use it to your advantage to spin away hazards. Mega-Venusaur is a fantastic defensive Pokémon thanks to Thick Fat and fantastic defensive stats. Venusaur's Grass/Poison makes it immune to Toxic as well as both of Rotom-W's STAB moves and it can KO Rotom-W with Giga Drain while recovering any damage Rotom-W can do with its attacks or Will-O-Wisp. Venusaur is possibly Rotom-W's greatest enemy in the metagame and you can force out just about any Rotom-W variant with it and it can still wall many different Pokémon. Will-O-Wisp is still annoying to deal with since it cuts down on some of your recovery with Leech Seed or Giga Drain, but its nothing that Synthesis can't handle. Talonflame is living proof that even with bad defensive typing, low offensive stats and a semi-limited movepool, a great ability can make all the difference. Talonflame's ability Gale Wings makes all of its Flying type move priority moves, and with its fantastic base 126 Speed, even base 81 Attack can be something to be afraid of. Talonflame has two great STAB moves: Brave Bird and Flare Blitz, and even though its offensive movepool all but ends there, those two moves are enough to OHKO a surprising amount of Pokémon. Talonflame has access to Swords Dance and Bulk Up, giving it even more power behind its high base power STAB moves. Even with a x4 Stealth Rock weakness, Talonflame can still switch in on Pokémon it counters and Roost off any damage freely by forcing the opposing Pokémon to switch out. Choice Band is the most popular set, and with good reason. 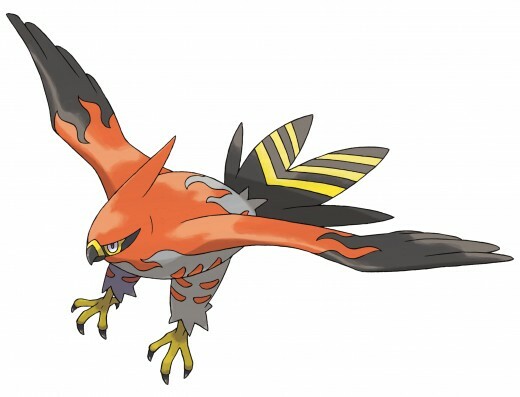 Talonflame is the perfect Choice Band user with its high Speed and STAB moves. Talonflame is a very popular Pokémon on the competitive scene and even though the majority are Choice Band variants, the Swords Dance and Bulk Up sets are still present, though they are riskier as Talonflame's reliance on recoil moves gives it even less longevity overall. One clever and underutilized set is the Natural Gift/Acrobatics build that let's it OHKO Rotom-W and/or Tyranitar, two of its biggest counters and gain an Acrobatics boost to power through an opponent's team without Brave Bird recoil. Tyranitar not only resists both of Talonflame's STAB moves, but it can force it out with STAB Stone Edge or Rock Slide. Its great defenses and access to Dragon Dance, it can easily set up a Dragon Dance against most Talonflame builds and begin wreaking havoc against your opponent's team. Choice Band Talonflame usually runs U-Turn and that can leave a decent sized dent in Tyranitar, so be wary of switching in Tyranitar at the mere sight of Talonflame. The Natural Gift set also runs a 100 base power fighting move that will easily end even the bulkiest of Tyranitar builds so you should plan for that or pack a Ghost type if you suspect the opposing Talonflame of having that build. Rotom-W fears little from most Pokémon, and Talonflame is no exception. Rotom-W can safely switch in to just about any Talonflame build and OHKO it with just about any of its STAB moves. While Rotom-W can't Will-O-Wisp Talonflame so if a Talonflame ever switches in to your Rotom-W's Will-O-Wisp, it's very likely that the opposing Talonflame has Natural Gift Grass to KO Rotom-W and power through a good number of your Pokémon. In most cases, however Rotom-W will have the upper hand and force Talonflame out, and with Volt Switch you can keep momentum and keep pressure on your opponent, especially with entry hazards on the field. No other Pokemon is quite as unique as Aegislash. Aegislash can perform pretty much three roles all at once, a strong physical attacker, a great special attacker, and a good defensive pivot. Stance Change makes Aegislash the equivalent of a 720 BST (Base Stat Total) Pokemon. It has a fantastic movepool with plenty of high power moves, and with its mixed attacking stats and Shadow Sneak for a STAB priority move it can power through the majority of Pokemon in higher competitive tiers. 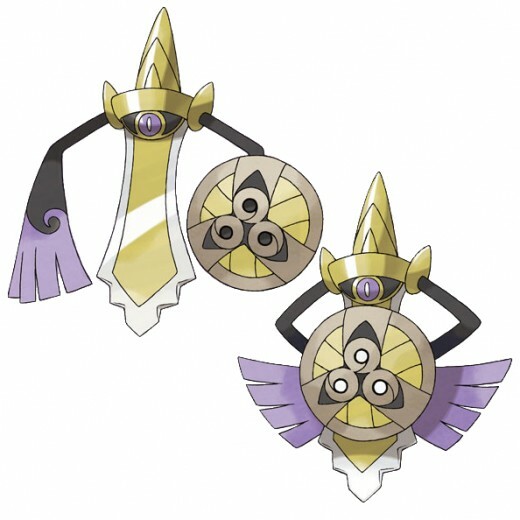 King's Shield, which is Aegislash's way of changing forms in battle and protecting against incoming attacks, also lowers the opposing Pokemon's Attack by two stages if it makes contact. Aegislash's ability to hit very hard on both sides of the spectrum as well as tank plenty of hits while setting up Swords Dance and finish off opposing Pokemon with a powerful Shadow Sneak.It can also catch many physical walls off guard with Shadow Ball, severely damaging or KO'ing the opponent's bulky Pokemon. One of Aegislash's biggest drawbacks is its limited coverage offensively even with coverage moves like Sacred Sword and Head Smash. Aegislash also has low HP that limits its tanking ability, even with full investment, against powerful super effective attacks. Mandibuzz is Aegislash's number one counter and is rapidly becoming on of the best physically bulky Pokemon in the game. Mandibuzz fears no moves from Aegislash, even Head Smash, and can KO it back with Foul Play and doesn't fear King's Shield or any of Aegislash's Ghost type moves as it resists them. Flash Cannon is a move to watch out for, but it usually can't OHKO Mandibuzz and Mandibuzz will still OHKO back with Foul Play. Mandibuzz is a better option over Skarmory in some cases as it has equal or better bulk, although its Stealth Rock weakness limits its ability to switch in and out freely. BIsharp has one of the Strongest Knock Offs in the game, and fears no Aegislash variant as it can KO most offensive Aegislash builds and it doesn't care about King's Shield thanks to Defiant. Sacred Sword is something to watch out for as it easily OHKO'es Bisharp while Bisharp's Sucker Punch Fails to OHKO Shield Forme Aegislash. Other than that,evne the bulkiest Aegislash variant is forced to switch for fear of getting OHKO'ed by STAB Knock Off. 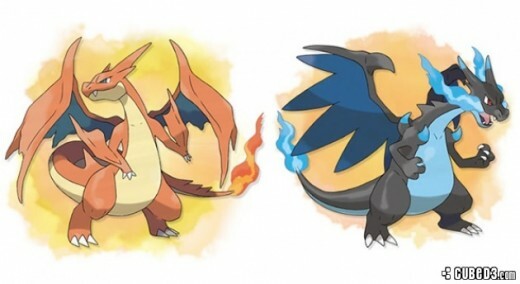 Charizard X has become one of the fearsome Mega evolutions in the game thanks to a great ability, fantastic offensive stats and a great physical movepool. Letting Charizard X set up one Dragon Dance can be a death sentence for a lot of teams, and Fire/Dragon typing offers some convenient resistances to some common priority moves, letting it sweep even more easily. Tough Claws gives Charizard X a 30% boost to moves that make contact, meaning that Flare Blitz and Draong Claw are even more deadly, and properly timed Outrage can end a game against a properly weakened team. Roost lets Charizard shrug off Stealth Rock damage and Flare Blitz recoil as well, giving it more staying power. Azumarill is immune to one of Charizard's Dragon STAB and Resists its Fire STAB, making a good check to Charizard X. Play Rough can OHKO Charizard if it has taken any previous damage, and with Stealth Rock damage and Flare Blitz recoil it's not hard to rack up damage against Charizard X.
Hippowdon is one of the bulkiest Pokemon in the game and even though it doesn't resist Charizard's STAB moves, Hippowdon can take any of Charizard's attacks and either KO it with a STAB earthquake, or severely dent it and Charizard will usually faint to Flare Blitz recoil and Sandstorm damage, as Dragon Claw doesn't hit Hippowdon hard enough to 2HKO after leftovers, giving Hipowdon an opportunity to 2hko with Earthquake. Mega Charizard Y lacks the ability to tear through teams as easily as Charizard X, but it makes up for that with its immediate destructive power. With Drought, Charizard's Fire Blast is one the most powerful moves in the game, and even Pokemon that resist it take a large amount of damage from it. Charizard also has Solarbeam to OHKO just about any Water type Pokemon that might try to hit it with a Water type move, which would be foolish since Drought essentially gets rid of Charizard's Water weakness. Goodra is a great Special Wall and a good option for dealing with Charizard Y thanks to its useful Fire and Grass Resistances as well as access to Thunderbolt and a good 110 base Special Attack. If the opposing Charizard runs Dragon Pulse it can do quite a bit of damage to Goodra, but not enough to OHKO it, and usually you can OHKO the Charizard with a Thunderbolt. Garchomp has just enough Speed to OHKO Charizard with Rock Slide before Charizard can do too much damage to your team. Garchomp resists Charizard's Fire moves, although revenge killing is Garchomp's best bet against Charizard Y. Keep in mind that the hardest part about playing against Charizard is not knowing whether you're up against Charizard X or Charizard Y, sometimes until it's too late. This match showcases just how effective Charizard X is in the late game as a sweeper. Is Greninja a good Pokémon? Absolutely! It is one of the best, actually. It can learn so many great moves and Protean makes it a really unpredictable threat. I think that age far is very defensive so Pokemon with hi attack power can KO it. I find myself using Charizard a lot along with Talenflame a lot in my team setups. Poison jab garchomp is a must. 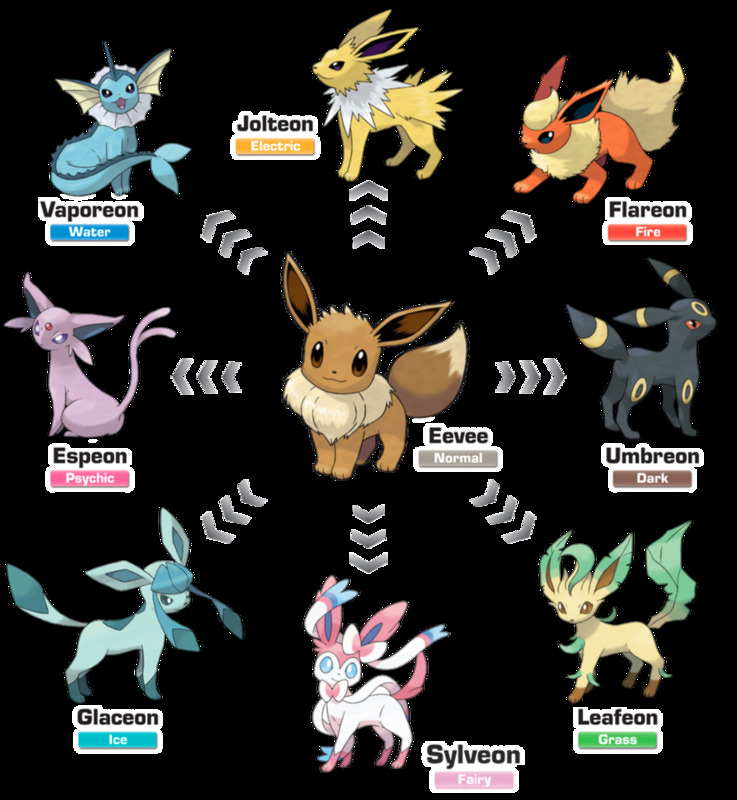 Great speed and attk to deal with fairies and deal with the occasional grass starter. Wouldn't Togekiss be good against Garchomp? Just to think about it, it is a fairy type, and does have good SpAtk, and decent Def and SpDef, but Garchomp can know Rock and Steel type moves, along with Poison Jab, which are Togekiss's weaknesses. Bisharp is a good choice against Aegislash? But wouldn't Secret Sword knock it out? I've never used a Mandabuzz before, I usually see people use Braivery. 2. Why would you use Jolly over Timid? 3. Talonflame has priority Brave Bird, so Gengar can never outspeed it and will always get OHKO'd. And in regards to Rotom-W it has better typing than the other formes, is one of the only reliable ways to counter Talonflame that lack natural gift, has just one weakness thanks to Levitate, balanced offensive and defensive stats, can keep momentum on your side with Volt Switch, cripple physical attackers with Will-O-Wisp, use an effective ChestoRest set or pseudo-heal with Pain Split, and even run a good Choice Scarf set which makes it unpredictable. It's a VERY good Pokemon.